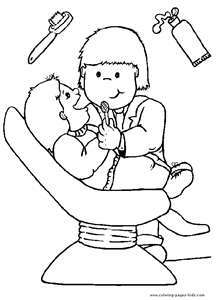 If you have never been to Ashburn Children’s Dentistry, then you and your child are really missing out! From the moment you enter, excitement abounds with a tree house to explore, gaming consoles, bean bags, and much more to play with while you wait. But, it doesn’t end there! Once you are called back the fun continues with trains chugging by over head, individual movie screens with an array of movie selections that your child can choose from, and the list goes on! Beyond the fun, Dr. Lynda Dean-Duru and staff, provides outstanding, painless and preventative dental care to Ashburn residents and beyond. As if that isn’t enough, Ashburn Children’s Dentistry will be hosting a charity event, Dentistry from the Heart, on Saturday, March 17th at their office located at 44025 Pipeline Plaza, in Ashburn. This all day event will provide free dental treatments to children from 1 to 18! Event registration will begin at 8am and services will conclude at 5pm. It is recommended that you get there early as it is a first come, first served basis. For more detailed information on the event, please contact Ashburn Children’s Dentistry at 703-723-8440. Ask Gina & Company is proud to support Loudoun County businesses that give back to the community in which they serve! Ashburn home SOLD in SECONDS!